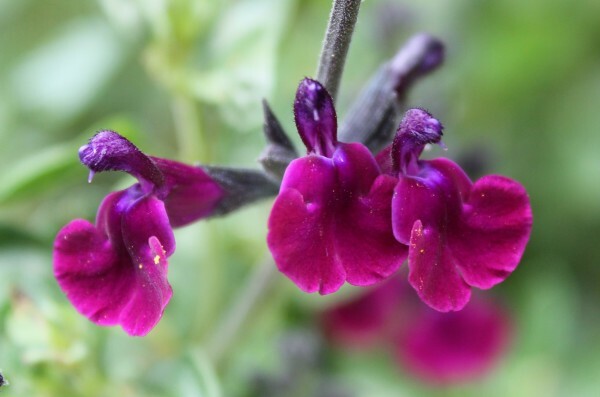 New variety of Salvia with velvet-like plum-purple petals form hooded flowers over a long period in summer and autumn. Drought tolerant once established. Height & Spread 75cm x 50cm. Prefers full sun. Loved by bees. Leaves smell of blackcurrant.